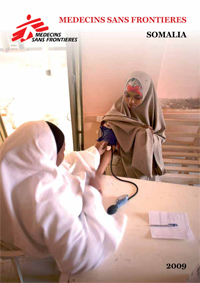 An overview of MSF activities in Somalia in 2009. In 2009, the Somali population continued to fall victim to indiscriminate violence, while severe drought plagued parts of the country. Millions of people urgently required health care, yet the enormous gap between the needs of Somalis and the humanitarian response on the ground continued to widen. MSF staff in eight regions of the country worked round the clock to provide desperately needed medical care as well as assisting Somalis in Kenya, Yemen, Ethiopia, Malta and Greece.